This Springerle mold came to me from my father's parents. It had belonged to my grandfather's aunt, Gertrude Brown, born in 1878, died in 1967. She said that it had belonged to her mother, my great great grandmother, Amanda Brown. I can't trace it back beyond that. 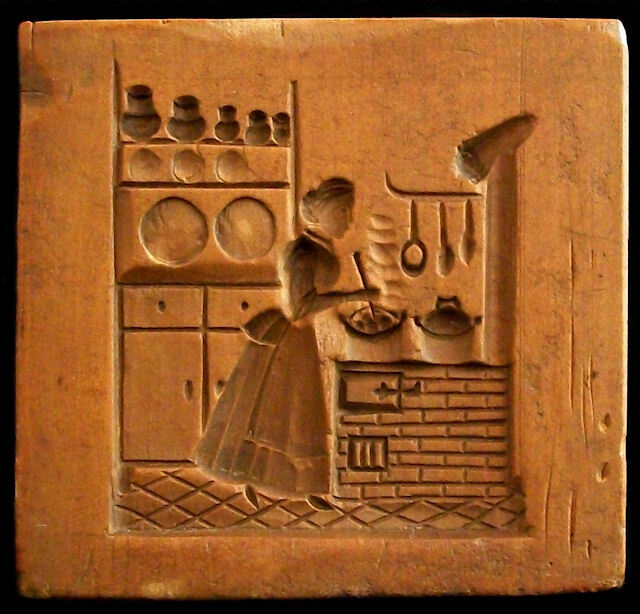 The Springerle mold is a beautiful carving of a woman at the stove in her kitchen, stirring a pot of stew. The wood is darkened from actual use, but it has not been used since before my grandfather's time. 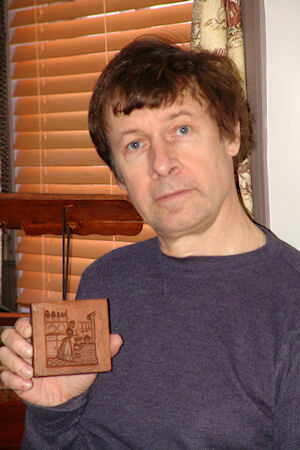 Thank you David for sharing pictures and history of your family's mold. It is a rare pleasure indeed to be able to view an original mold and know its history and family.